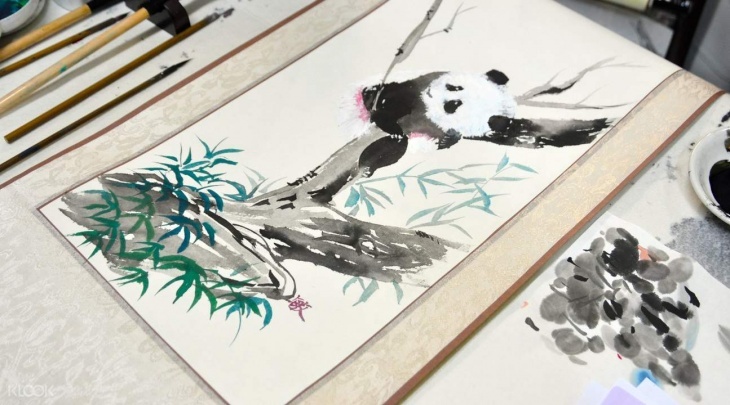 Grab a brush and ink and try the art of Chinese painting! This art form will allow you to express your creativity, calm your mind, and allow you to appreciate the beauty of art and nature. Known as guó huà or native painting, traditional Chinese painting is considered one of the oldest continuous artistic traditions in the world. It uses "Shui Mo" (water and ink), which is a freestyle technique created using a brush dipped in ink and water, and onto rice paper. During this hour and a half lesson, you'll learn different brush strokes, as well as get a solid introduction to the oriental materials, tools, and the painting subject from a professional tutor. You can take your fabulous masterpiece home, serving as a great souvenir from your Hong Kong trip! This class is perfect for friends and family, and no previous experience is required. Experience one of the oldest continuous artistic traditions in the world: traditional Chinese painting!